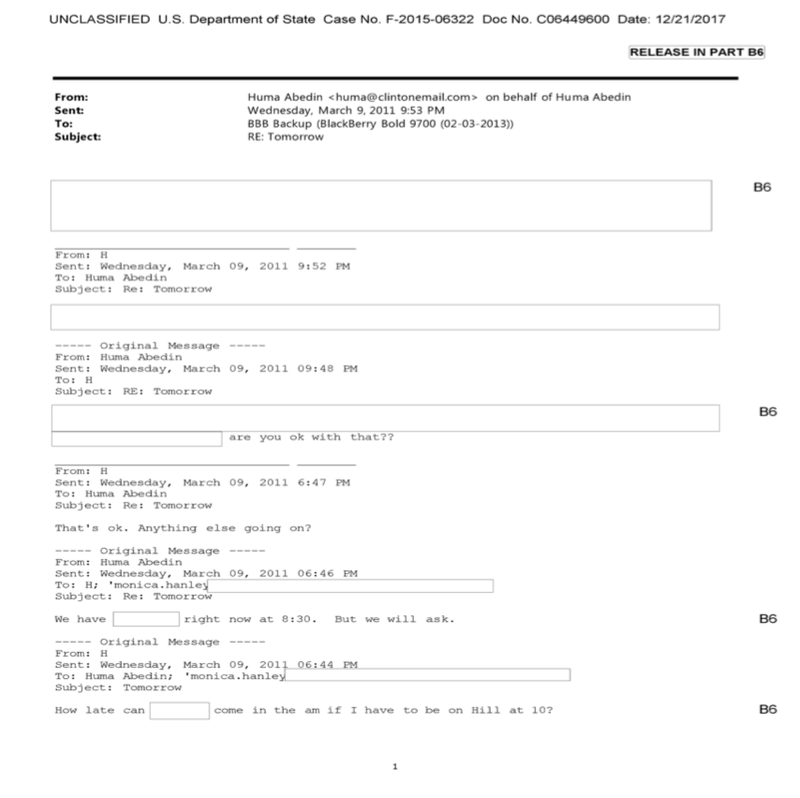 "Classified material has a header which says ‘top-secret, secret, confidential.’ Nothing, and I will repeat this and this is verified in the report by the Department of Justice, none of the emails sent or received by me had such a header." 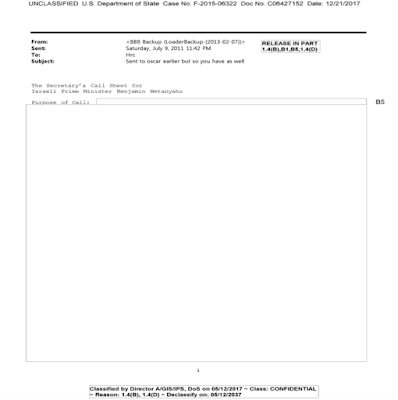 You will notice that the contents of the entire email which was originally classified as "Confidential" have been redacted. 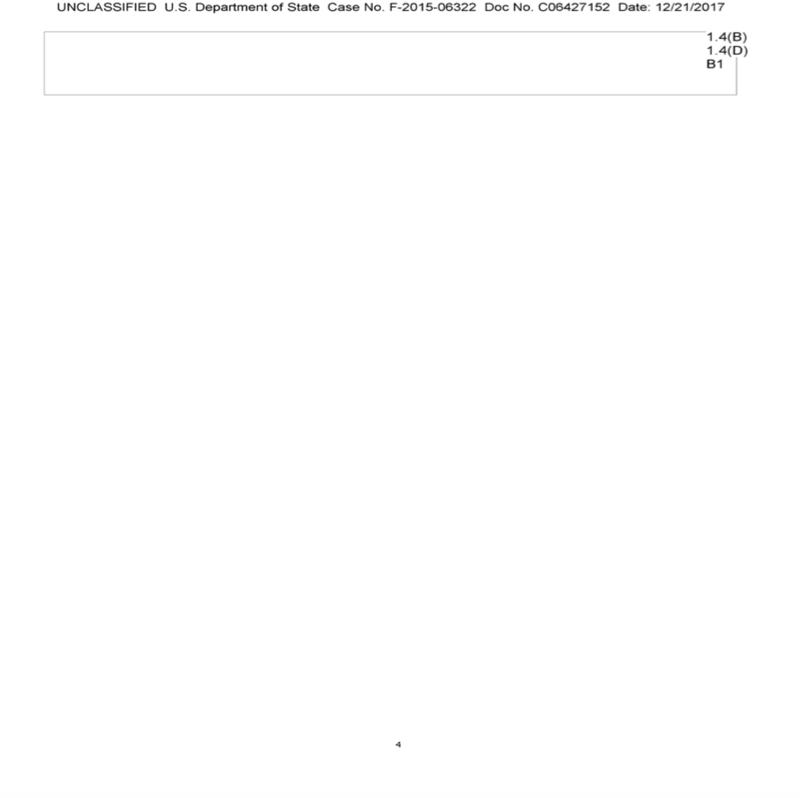 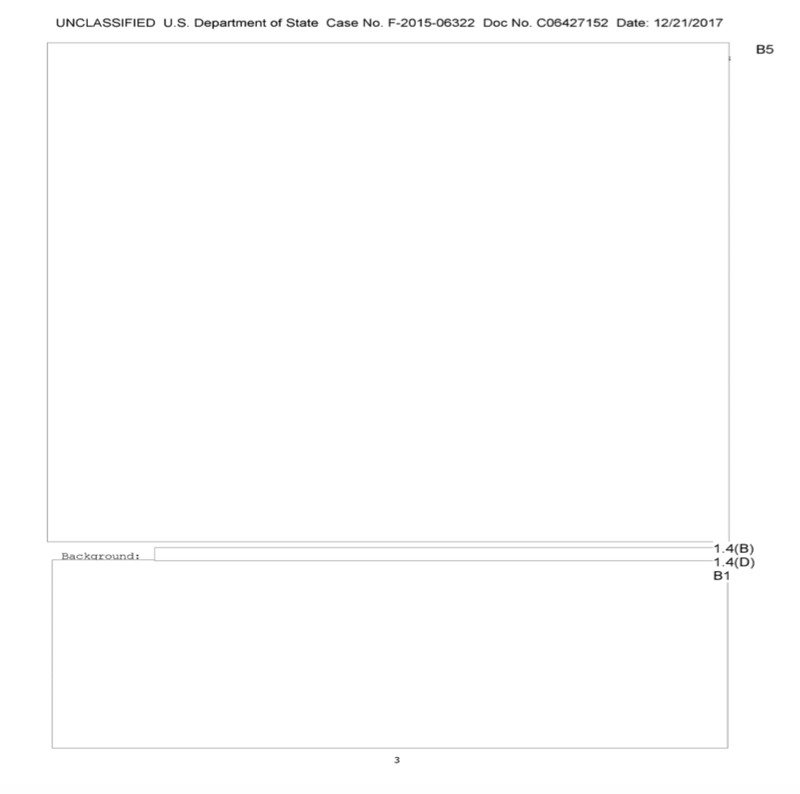 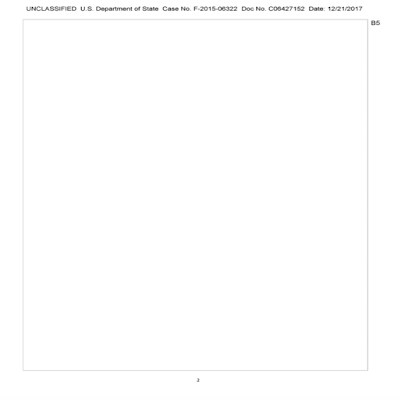 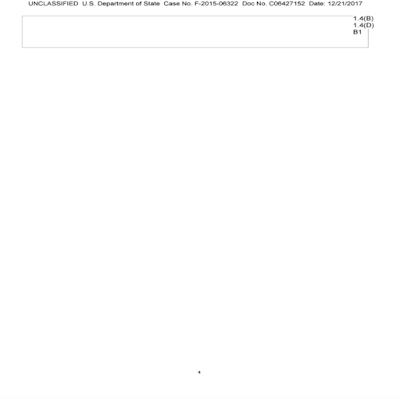 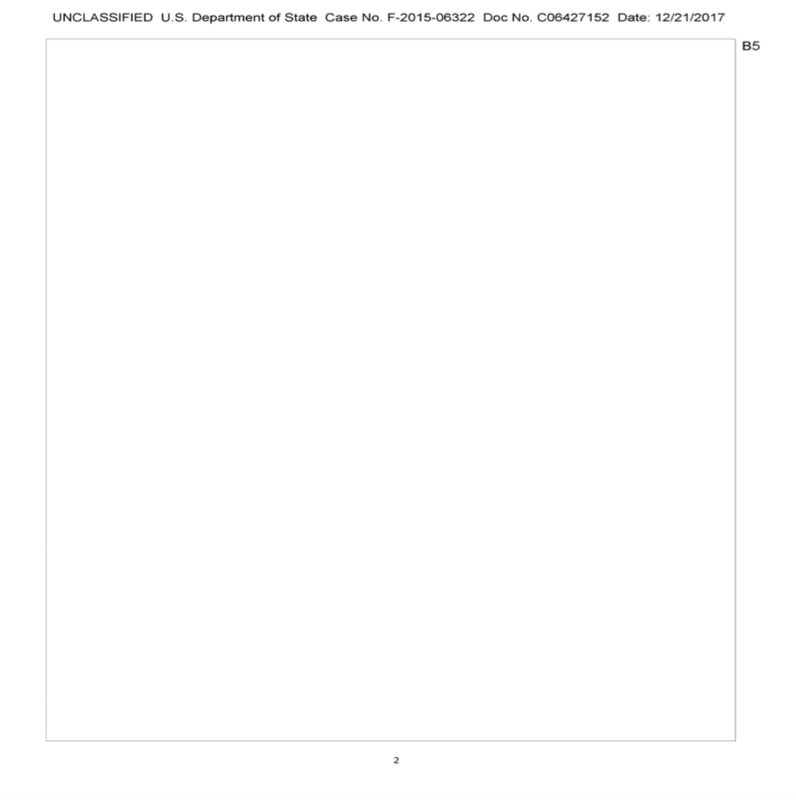 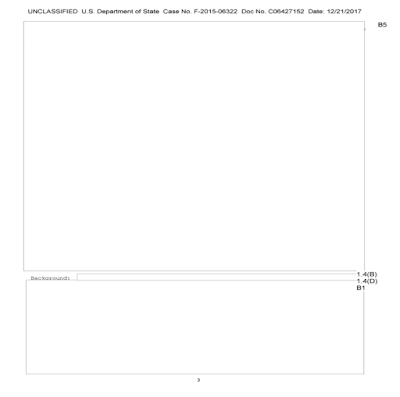 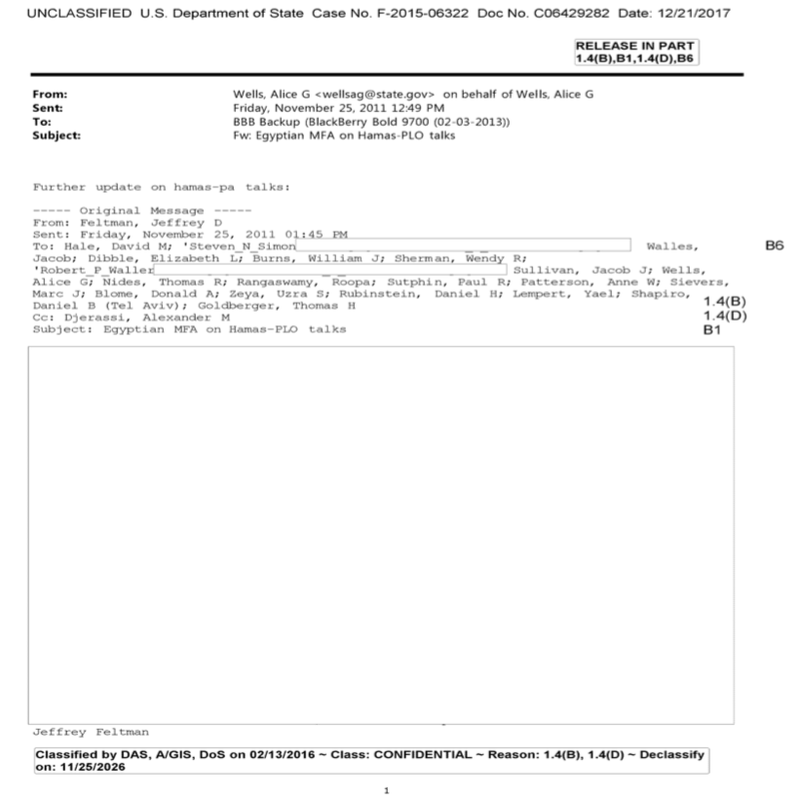 In this case, while the document is considered "unclassified" by the State Department, the entire contents have been deemed too sensitive for release to the public. 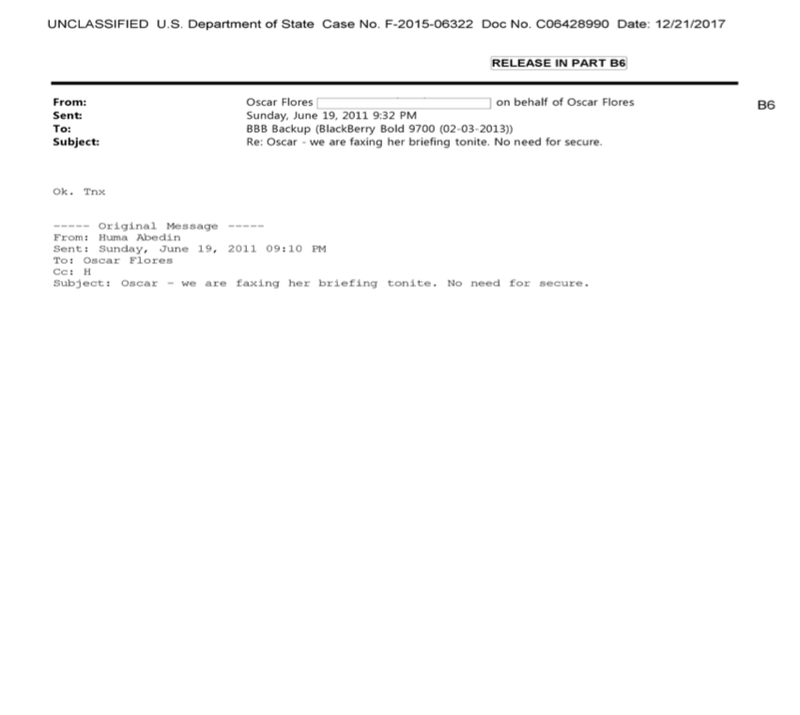 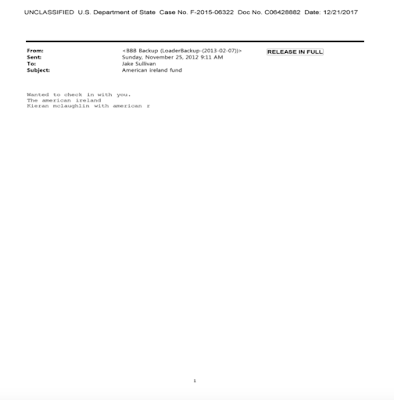 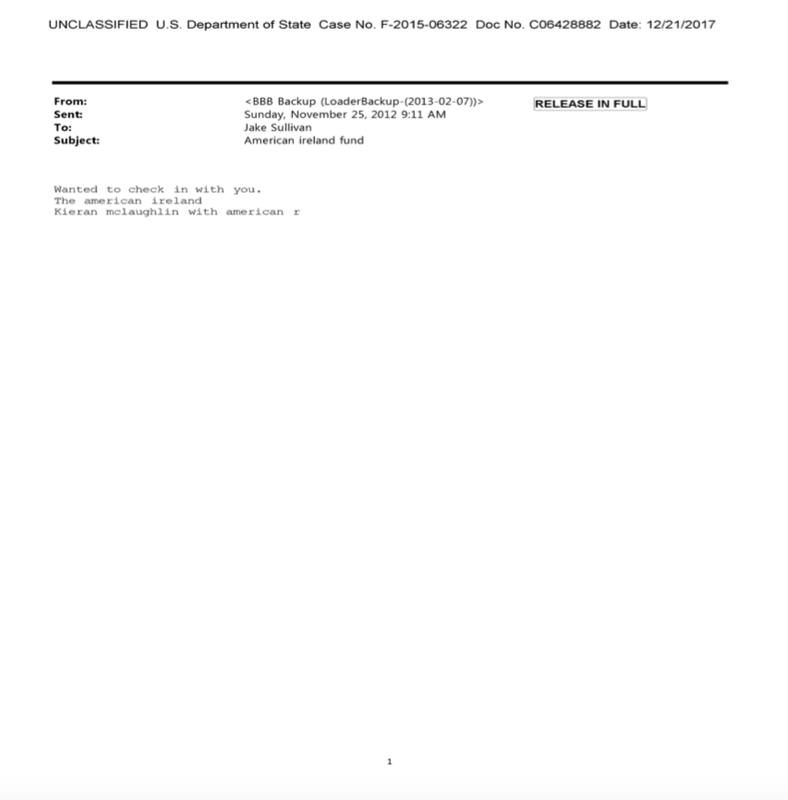 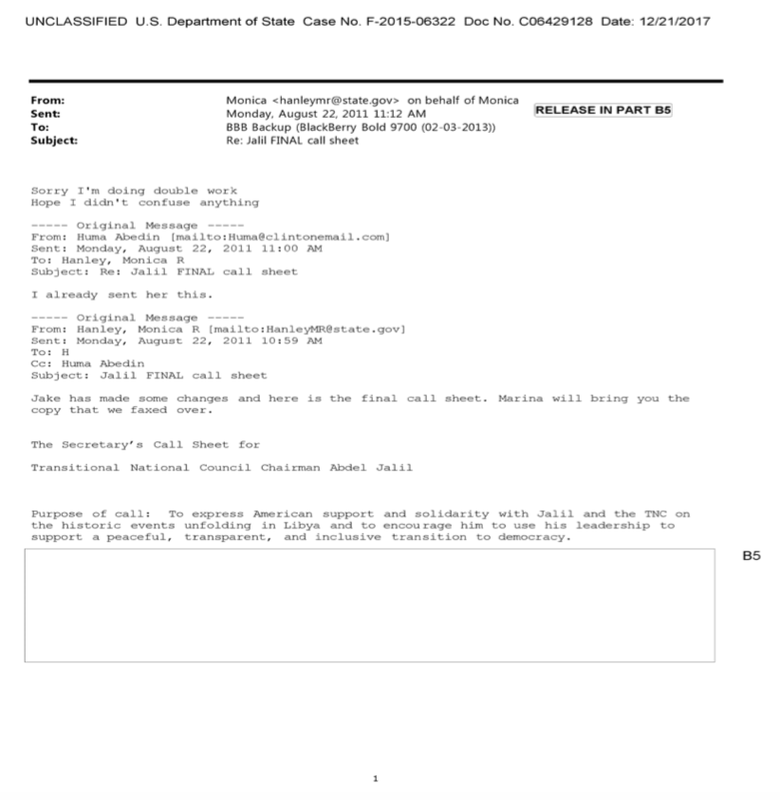 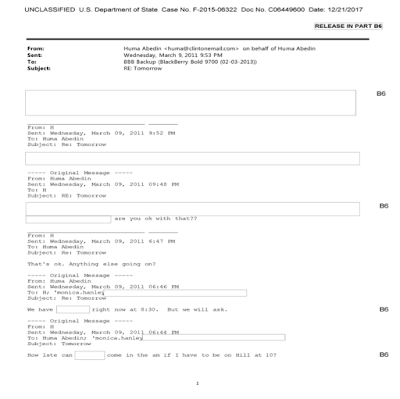 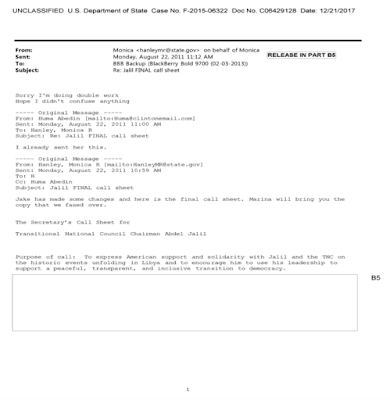 Again, while the document is considered "unclassified", other than a brief mention of the purpose of the call, the remainder of the email is considered to be too sensitive to release to the public. 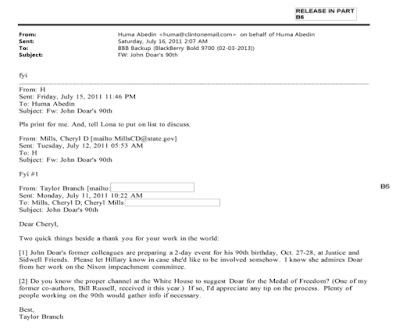 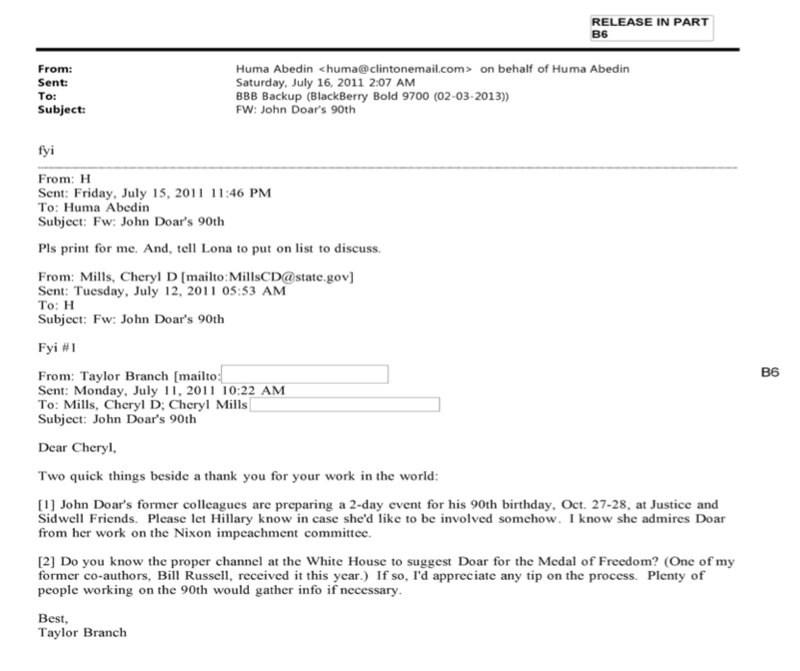 Thus far, the vast majority of Huma Abedin's 139 work-related emails that ended up on her husband's laptop are completely innocuous, at least to the untrained eye, however, there are a significant number that have been subjected to significant redaction, suggesting that the Clinton personal email server issue was far more serious than the Democrat's candidate for POTUS would have had us believe during the 2016 campaign. 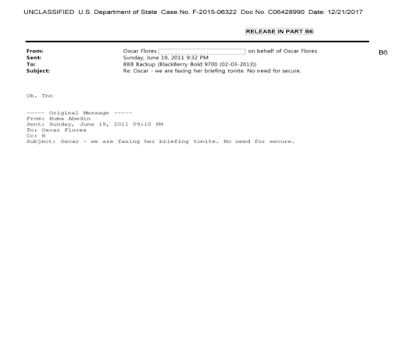 Apparently, the contents of some of the emails that had no security classification whatsoever are still deemed, at least by the State Department, as too sensitive for the sweaty voting masses.